This week’s most interesting Slate stories. 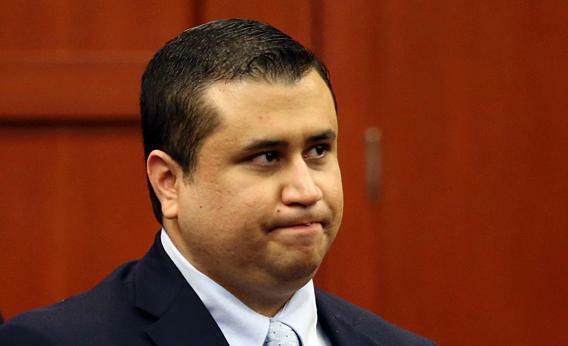 George Zimmerman was found not guilty in the shooting death of Trayvon Martin. “You Are Not Trayvon Martin: His death wasn’t about race, guns, or your pet issue. It was about misjudgment and overreaction—exactly what we’re doing now to the verdict,” by William Saletan. Amid the multitude of reactions to the verdict in the George Zimmerman trial, Saletan provides a fresh perspective, arguing that Martin’s death was the result of “assumption, misperception, and overreaction.” Elsewhere in Slate, Saletan debates Gawker’s Tom Scocca on Twitter, Dahlia Lithwick examines why juror B37 was selected for the jury, and Daniel Engber explains Florida’s strange gun laws, which led to a woman woman who fired shots—but didn’t injure anyone—getting 20 years in jail. “Stevie Wonder’s Florida Boycott: It’s politically savvy, morally righteous, and it could be enormously important,” by Jack Hamilton. The day after the verdict in the Zimmerman trial came down, Stevie Wonder announced that he would not perform in Florida until the state’s “stand your ground” law is overthrown. Hamilton argues that even though Wonder is past the height of his fame and he hasn’t released an album in eight years, this is a boycott to take seriously. Wonder’s symbolic act might spark concrete ones if other artists follow his lead. “Give Me Back My iPhone! Android is a wonderful operating system. But most Android phones are crap,” by Farhad Manjoo. For his New Year’s resolution, Manjoo decided to swap his iPhone 5 for an Android phone, in large part because Android is the world’s most popular mobile operating system. He found that the phones it runs on are crap. Why? The phones come preloaded with unnecessary and unrequested features and apps, whereas Apple gives you a simpler machine that you can customize. “Stop Saying That TV Is Better Than Movies These Days: It’s not, and that’s a lazy argument,” by David Haglund. Haglund sets out to disprove the pervasive argument that TV shows trump movies. Though television is undoubtedly getting better—as evidenced by this year’s Emmy nominations—critics’ desire to crown television the new “signature American art form” (as if there can only be one American art form) is entirely misguided. This town is big enough for the both of them. “Cry, Baby, Cry: A journal jumps on the Dr. Sears bandwagon to say sleep training is dangerous. Science says otherwise,” by Melinda Wenner Moyer. A recent editorial in Clinical Lactation alarmed parents by claiming that sleep training can cause babies to suffer through damaging stress. Wenner Moyers sets out to disprove this claim, laying out the myriad benefits of letting your baby cry it out until they fall asleep. “Why BMW Drivers Are Jerks to Cyclists: I have four theories,” by David Plotz. After several roadside scares, David Plotz sets out to explain why BMW drivers have it out for cyclists. Plotz presents his four-point theory on why the BMW is the car of bullies.